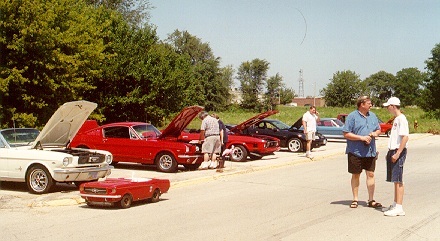 Here's a photo of the early line-up of cars. You have to watch Gene, though. It looks like he is marking his territory on Midlife! 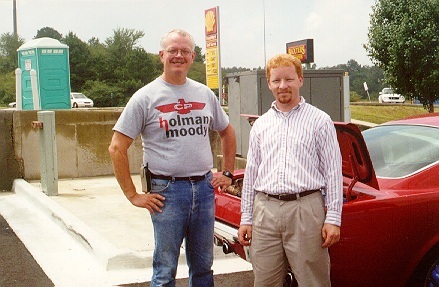 That's Roadkillontheweb, talking with his nephew, on the far right. Here's a picture of TFOB's Fire Breathing Dragon, or FBD. 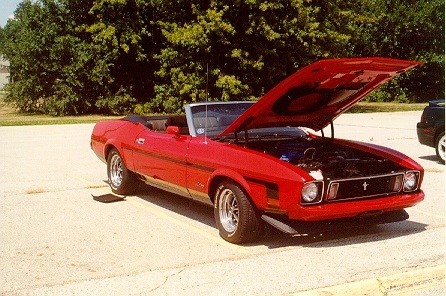 The 1973 convertible has very nice styling lines. Unfortunately, FBD had a bad case of asthma, and wasn't running the smoothest it could. 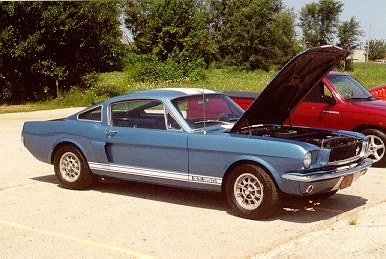 This is Bob's PoopyRed Fastback, and it looks pretty good. I guess I had the wrong filter on the camera or something. If you look closely, you can see Bishir out in the field shagging fly balls. 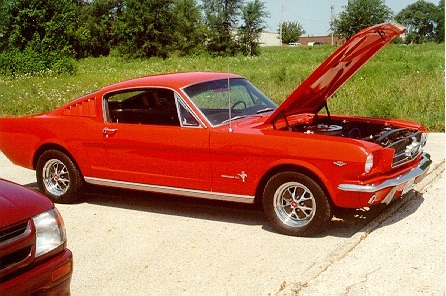 This is Justin's Jcode68, one sweet fastback! That's him in the white Tee-shirt. Hey Justin, anytime you want to trade for Midlife, let me know! 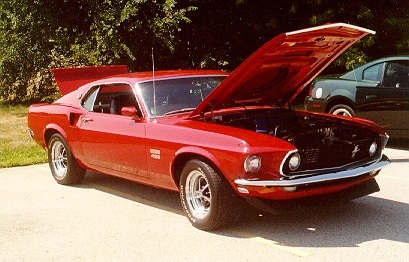 This is Henry's Boss429. Awesome! 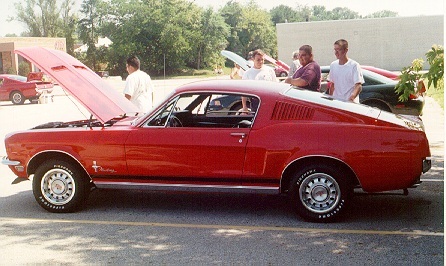 You can see part of the Bullitt mustang in the background. Cullman, AL, and two escaped convicts. Art is on the left, and 66emberglow on the right. Yup, Art just got off from work, and embergow is semi-retired...can't you tell?